The discovery of the first exoplanet around a main sequence star in 1995 brought a great deal of attention to the search for life beyond the Solar System (i.e., The Big Question). Since then, we have found thousands of extrasolar planets. As humans, our first instinct is to comb over this huge sample to find the best candidates for habitability (such as TRAPPIST-1 and Proxima b), and then painstakingly characterize them to check if they really are habitable. But this process is very resource expensive and it hasn’t really paid off thus far. What if there are other, more effective ways to answer The Big Question? 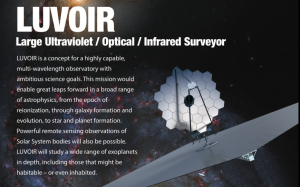 People are already planning and designing space telescopes whose main scientific aim is the search for habitable environments on exoplanets, such as LUVOIR and HabEx. As such, these instruments carry the weight of a world upon them. According to the authors of today’s paper, we cannot simply bring multiple detailed characterizations to bear on a handful of promising candidates; in order to be able to effectively answer The Big Question, we need to adopt a statistical approach. Determining if an exoplanet is habitable or not goes way beyond simply pinpointing its position relative to a star: it is based on a combination of empirical inference and theoretical modeling. The objective of what the authors call the systems science approach is to identify such planets and make claims about the possibility that they harbor life. 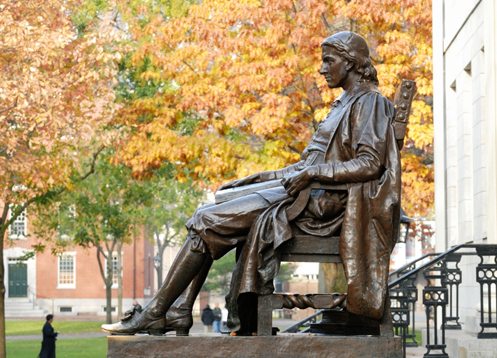 The problem is that this framework requires considerable resources (observational and computational) to yield robust answers. In the end, it may not even reveal a definitive signature of life in your small sample of habitable planet candidates! Inspired by research performed with Kepler data, J. Bean and collaborators propose the statistical comparative planetology approach. Its premise lies in utilising the diversity of planets in large samples to obtain information about their nature based on comparative studies. This approach has successfully been applied to identify false positive rates in Kepler data, as well as to study the water content of transiting planets. These results are robust in that they only depend on simple physical models, and allow the identification of outliers, which reveal potential model weaknesses. One of the examples the authors describe in today’s paper aims to test the habitable zone concept using carbon dioxide abundances. Planets that receive more irradiation from their star need less CO2 to maintain accommodating temperatures via the greenhouse effect, while those that receive less irradiation need more carbon dioxide. The idea of the test is to measure CO2 content on planets inside habitability zones and seeing if they are compatible with the amount expected for planets with accommodating temperatures (see the figure below). These measurements don’t need to be extremely precise given that the uncertainties in the physical properties of the planets is offset by the large sample size. 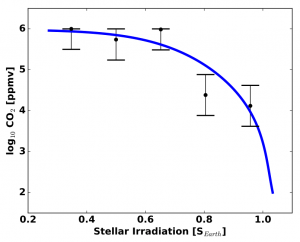 The habitable zone concept (blue curve) assumes a decreasing amount of CO2 as stellar irradiation increases. The black points represent hypothetical planets scrambled away from the blue curve based on the expected uncertainties of a statistical inference. The habitable zone concept can be tested if we are able to perform this kind of bulk analysis of a large sample of planets. A similar test can be performed for water content on potentially habitable planets: if they are closer to the inner edge of the habitability zone, they should have lost all their water due to a runaway greenhouse effect while those near the outer edge of the zone should have little water because it has frozen out. Any deviation from this means we are getting habitability wrong. Again, this test does not require a lot of precision, but does need a large number of planets. The authors make it clear that the statistical approach is not the single best way to study habitability. For instance, this method still requires detailed analysis of a few planets to identify key diagnostics for habitability, and it is limited to planets around M dwarf stars, whose habitability zones are the easiest to observe. However, comparative planetology still looks like a very pragmatic way to circumvent the unknowns and progress towards answering The Big Question. Disclaimer: the leading author of today’s paper, Jacob L. Bean, was my research supervisor in 2016, but I am not in any form involved with this particular publication. On the Habitability of the Kepler 16 System M-dwarf stars go overboard with ocean worlds Intro to Astro – Confessions of a Novice Research Student TRAPPIST-1: Just right?